It's been 14 days challenge, if you have read about C-Jello Collagen Jelly Bar earlier, you'll know I took part this 14 days challenge to consume the collagen jelly bar x 2 boxes (RM596). 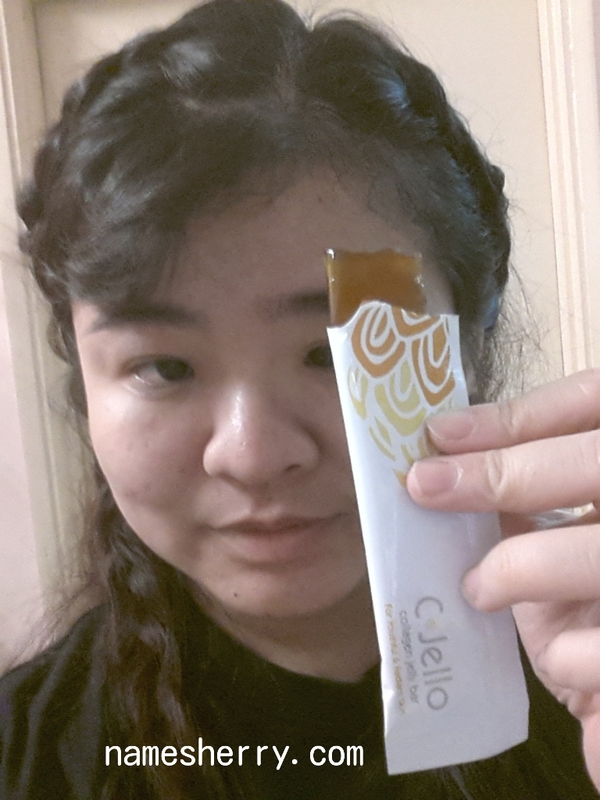 C-Jello Collagen Jelly Bar for youthful and radiant skin. C-Jello collagen jelly bar supports the restoration of the skin by promoting the appearance of youthful, healthy and glowing skin in a safe and non-invasive way. C-Jello is the first ever collagen jelly bar exclusively created in Korea and it was produced to deliver the most effective absorption and with ease of use in mind. Since C-Jello is derived from Type 1 Collagen, will it benefit arthritis and joint health too? Type 1 Collagen is found mainly in the skin, tendons and muscle. It helps to speed up healing of muscular and joint pain. 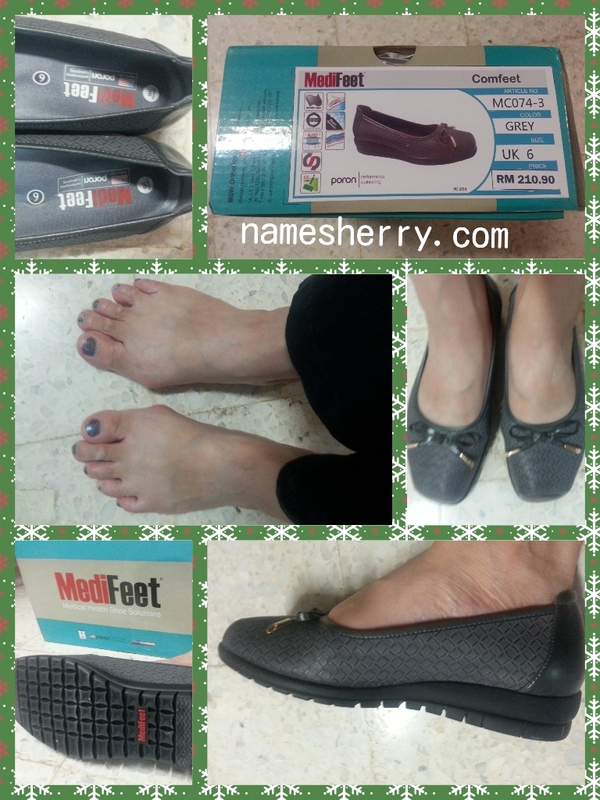 In order to fully support and treat arthritis and the joints. Type II Collagen is more appropriate. Type 1 Bones, tendons, ligaments and skin. Daily consumption in the morning one jelly bar, and night before bed one jelly bar. Delaying the ageing process caused by external factors such as UV rays, harmful free radicals, stress and pollutions. Restructuring of the skin's collagen and its ability to retain firmness, elasticity and smoothness. Each C-Jello is 20 g and contains 2500 mg of Hydrolysed Collagen Peptide and essential nutrients. It effectively slows down the ageing process, boosts youthful vitality, whitens, firms, tones, and hydrates the skin. Enhances skin elasticity, stimulates collagen synthesis, strengthens the skin's barrier. 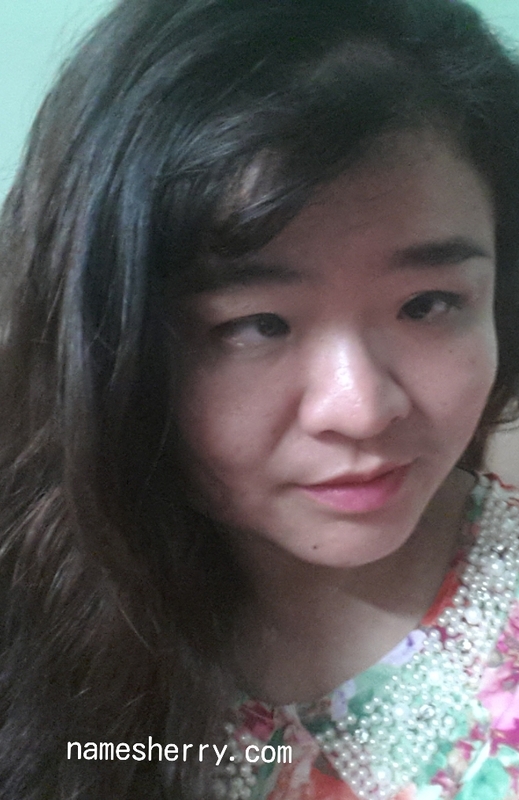 Before consumption of C-Jello Collagen Jelly Bar, I have dull looking skin. 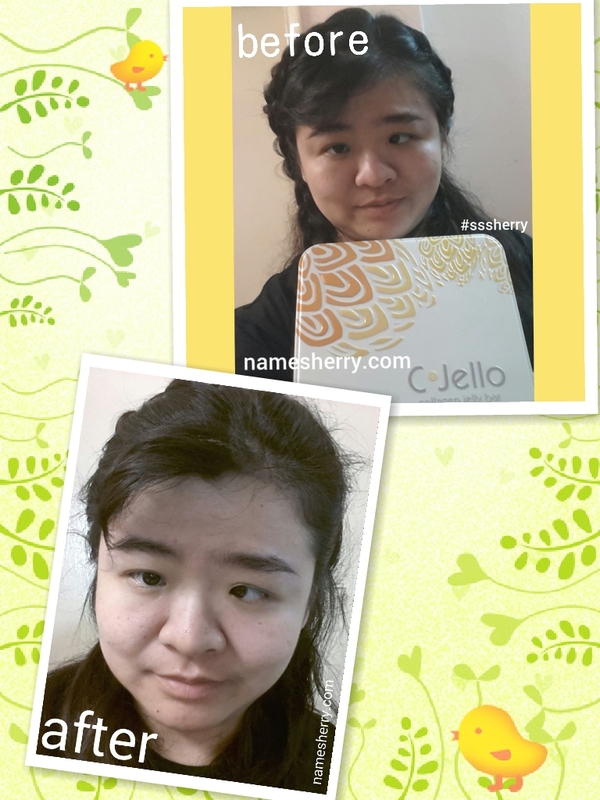 #sssherry after 14 days of consumption of C-Jello Collagen Jelly Bar, I can see the difference of my skin. 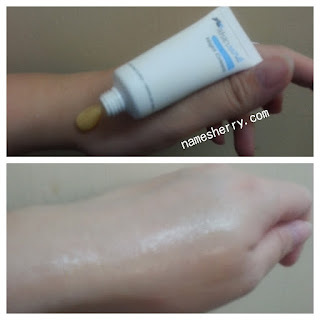 My skin doesn't feel dry or itchy anymore in the night. How fast can we see results such as overall whitening of the skin or less wrinkles? Typically, results can be seen within a month or so however several factors such as genetics, environment pollutants, nutrition and lifestyle can also play a role in your results. 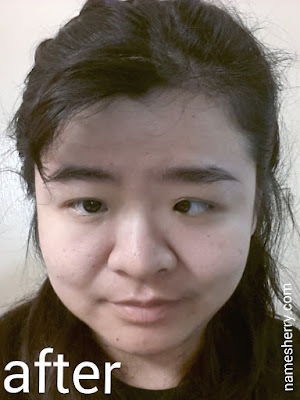 Will C-Jello help in reducing deep wrinkles? C-Jello can assist in minimizing the appearance of micro wrinkles fairly immediately. For deeper wrinkles, it is recommended a 12 weeks program of regular consumption of the C-Jello for the best results. 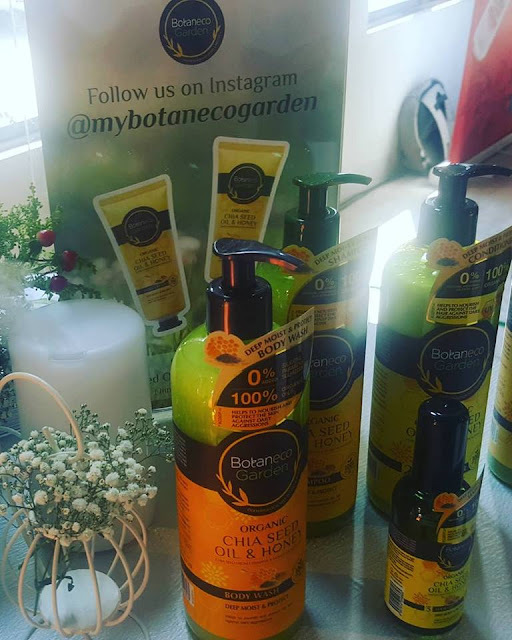 Last week I attended The Pure Beauty Event & Meet "All Things Girl" Stars. The event held in Sunway Pyramid, special appearance of Hong Kong superstars during the launch of All Things Girl infortatinment program. The beauty inspired program series is made possible here in Malaysia by Pure Beauty exclusively at Watsons. They are Pricilla Wong, Elena Wong and Joyce Tang were greeted by nearly 500 guests, members of the media and screaming fans at the launch where the Hong Kong artistes attended to a meet and greet session with lucky Watsons shoppers. Group Photo (From Left): Priscilla Wong; Danny Hoh, Head of Marketing, Watsons Malaysia; Caryn Loh, General Manager of Trading, Watsons Malaysia; Joyce Tang and Elena Kong during the launch gambit. Elena recent success on the movie screen was on her role in Triump in the Skies, a romantic drama film released earlier this year and also coincidently presented by Watsons during the movie release in Malaysia. Joyce is an actress with Television Broadcasts Limited (TVB) in Hong Kong and is also better known to viewers as a tough woman mostly due to her characters in dramas, particularly her role as "Chan Sam Yun" in 1998 Hong Kong's modern cop drama Armed Reaction. Priscilla, the lead actress from Come Home Love 2, She says that it is important for ladies to care control of our body so that we are able to perform despite the busy schedule. There is no beauty to her secretly only that she pay attention and take care of her body and physical needs. Caryn Loh, General Manager of Trading, Watsons Malaysia; Elena Kong and Joyce Tang during the presentation of flowers to the Hong Kong artistes before the end of the event. It's fun event tp see the above participants selected by the TVB actresses to be on stage to play a game with them on how they are going to sell the products to them. Watsons customers who attended the event for an exclusive meet and greet session with the Hong Kong superstars. All Things Girl is a joint collaboration between Astro and TVB and sponsored by Pure Beauty exclusively at Watsons. The program will start airing on 6 September 2015 at 9pm and will be aired on Astro's Wah Lai Toi and Wah Lai Toi HD channels respectively. Click above video to see how the boys dance. Have you been to Malaysia? If not let's check out this video of Rejunevate Dance Crew, it's only 4 minutes video on the beauty of Malaysia. Merdeka Day is coming and everyone's has got their plan. How about you? After watching this video I want to visit other states in Malaysia, frankly speaking I haven't been to all states in Malaysia. 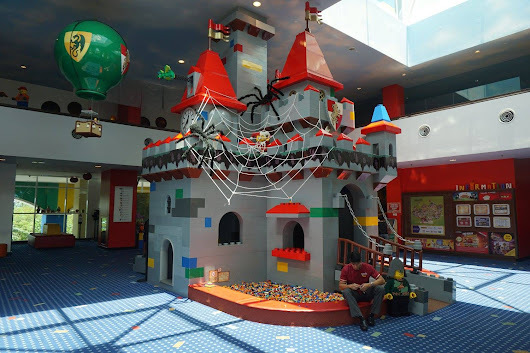 School holiday soon, it's time to plan where to bring my children for holiday. So fast it has been two years since I last watch Sinister, last night I watch Sinister 2 with my dear. The movie not suitable for children to watch, it's for 18 above only. A mom who wants to protect her twins boys aged 9 years old Dylan and Zach. She and her boys stay's at a farm house home where she knew bad things had happened. Dylan can see many things but he's not telling his mom about it. He's been hiding his feeling towards her. Dylan was force to view documents of families murder. My dear and I got scare a few times while watching the movie. I believe not just us even the crowd in the cinema hall too. Is the family of twins and their mom going to escape from being killed? Dylan and Zach's dad wanted the children back, he was abusive dad and Dylan is very scare of him. Zach is a big bully, he's always bully Dylan. In this movie you'll be seeing many ghosts child and shadows. After Sinister, now Sinister 2, the spooky man in the movie has never spook a word until now. If you don't like to see blood, you'll not like this movie. They are many rats and crocodile in the movie too. 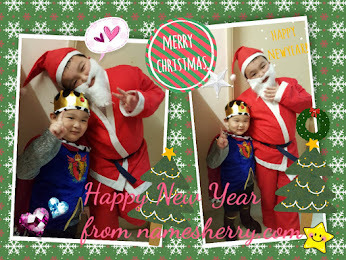 Also related to fishing trip, kitchen renovation, and many more. Not going to spoil your mood to watch the movie, go ahead find out yourself. Last week I attended the Guardian's event to find out who are the winners of Guardian's People's Choice Award 2015. 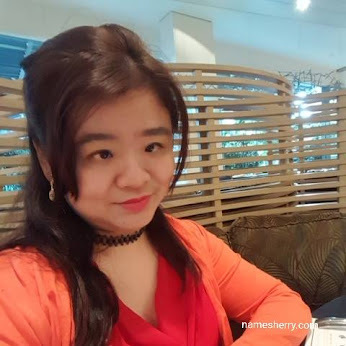 The event was held in Ruyi Restaurant Lounge, located in Bangsar Shopping Centre. Brands that continuously innovate and build products with integrity were among the major winners at the 15th annual Guardian People’s Choice Award (PCA). The PCA, initiated in 2001 by Guardian Malaysia has established itself as a platform to engage its customers and to help business partners and brand owners stay relevant to evolving needs of customers. For the PCA 2015 series, a total of 300 products from 180 brands competed for the 75 categories of award ranging from hair care, face care, personal care, cosmetics, beauty, hygiene, supplements and medication, mother and child products, confectionery, home and accessories. The winners were awarded based on votes submitted by customers from 4 to 28 April 2015. Caroline Mak, Group Director, Health and Beauty of Dairy Farm, which owns Guardian Malaysia, presided over the presentation ceremony and paid tribute to owners of the winning brands. Guardian Malaysia initiated the Awards in 2001 to give recognition to brand building as an integral business investment and to provide an unbiased brand valuation exercise to ascertain brand equity among customers. Since then the PCA has evolved to keep pace with the dynamic changes in technology and lifestyle. Apart from introducing new categories of Award, Guardian has also engaged its customers actively using social and digital media, such as enabling voting online. Teenagers have also been given their share of voice through the Teens Choice Award introduced last year. Those who participated in the voting for their favourite brands were given the opportunity to win fabulous prizes. This year a total of 115 Guardian customers took home prizes worth over RM50,000. Mascara is what you can in almost every woman's purse. It's one of most important beauty products for every woman. This is their exclusive key ingredient Mulberry Root Extract deeply nourishes and strengthens lashes while Lash Curling Complex promotes Natural lasting curls. I just using this for two weeks and I like it as I can see the results are fuller, longer and beautiful curled lashes. Repeat this process up to 3 times for the most dramatic look. 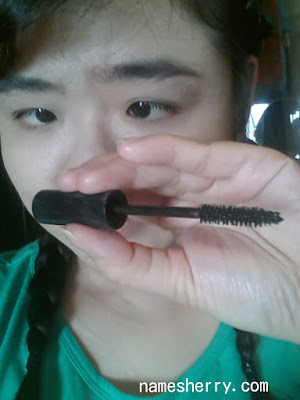 Apply mascara on the bottom lashes as well to give the appearance of wider, larger eyes. *With daily use, results will be seen as early as 4 - 6 weeks. Of course if I want a better result I will need to continue using it. 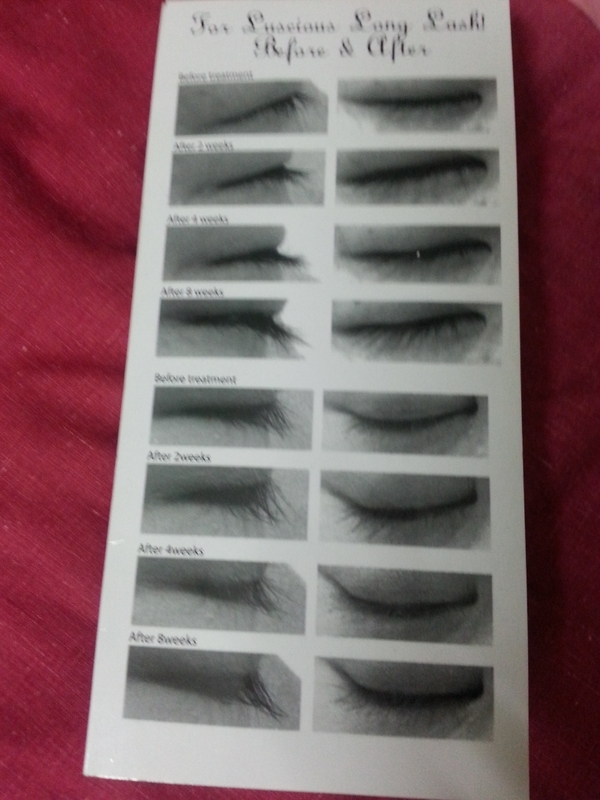 As you can see the before treatment and after of the picture below. It takes up to 8 weeks to see the long lash. The SkinSoul Volume Attack Mascara is semi waterproof. Click image above to view the before and after results of other users. For your info I am only applying the mascara for my upper lashes for the past two weeks. To my readers if you like to purchase the SkinSoul Volume Attack Mascara, you are welcome to use my code #sssherry. This set is at only RM195. You will also be entitle to walk away SkinSoul SkinShield Set worth RM100 by minimum purchase of RM100 and above in a single receipt. Just for my readers are entitle to purchase 2 SkinSoul Ultra-Soft Facial Towelettes and walk away with a limited edition (not for sale) SkinSoul lip balm. *All results are based on extensive research conducted by professional dermatologist. Results may vary. Last week I was invited to attend the Panasonic Beauty "Make Beautiful Happen" workshop, the workshop was held in Betjeman & Barton at One Utama Shopping Mall. Panasonic showcased their latest range of beauty and grooming products, by Panasonic Beauty, focusing on Hair Care and Face Care. There are real life demonstrations held at cozy and comfortable cafe. Takaaki Uehara, Consumer Marketing Director, Panasonic Malaysia. Make Beautiful Happen will be Panasonic Beauty's theme for 2015. This slogan aims at promoting beauty in a bigger picture as beauty encompasses every aspects of one's life and not looks alone. Yves Chong, Style Director from collaborating partner Number 76 Hair Salon. and EH-NA45P (RM286) which provide moisture while blow drying the hair. He also shares daily blow drying tips to keep the hair shining and smooth. He then demonstrated the easy usage of the nanoe Hair Straightener, model EH-HS95 (RM412) with Photo Ceramic Coating which maintains hair moisture & reduces color fading at the same time. Useful tips were shared on how to curl the hair with Panasonic Hair Straightener giving any women the convenience of changing their hair style daily. For a cleaner & healthier scalp, Yves demonstrated the Scalp Massager, model EH-HE94 (RM349) with a 4 finger simulation movements that can be used even when in the shower. There is Aishah Sinclair, Panasonic Beauty Brand Personality & Radio Announcer, she's mommy of two kids. Aishah shared on how she maintains her beauty regime with Panasonic Face Care products, despite her busy schedule. She also shared her experiences with the Facial Steamer, model EH-SA31VP (RM529) which produces nano-ionic steam that penetrates into the skin for deep moisture retention. The Facial Steamer can also be used to remove her makeup. Following that, Aishah shared that she will then use the Thermal Esthetic Roller, model EH-SP32 (RM469) to firm up her face. Tips to have tightened pores with Panasonic Facial Cool Putter, model EH-SQ10 (RM319) were also mentioned during the workshop. On top of that, she highlighted that Panasonic Eye Warming Massager, model EH-SW50 (RM589) is one of her personal favourite as it help her to relax her eyes after a long day to improves the blood circulation around the eyes area. Aishah holding Panasonic Facial Cool Putter, me holding the Thermal Esthetic Roller. Everyone has got a busy lifestyle or schedule, so don't forget to take care of your hair and face. It will be a pampering moment at your own cozy home. We have hands on experience on the Panasonic Beauty products then we have hi-tea. The new selection of Panasonic beauty and grooming products are designed and developed with its intended users in mind to provide complete user satisfaction. 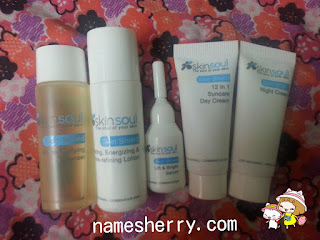 Today I am going to blog about the SkinSoul SkinShield Travelling Set (RM500). I have been using this skin care range for two weeks now. 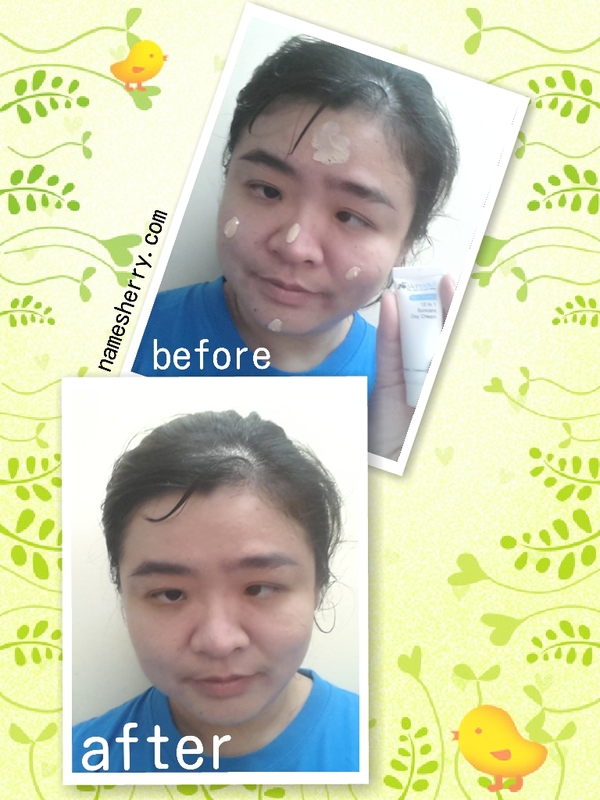 It does not irritate my skin, it is suitable for my combination skin. This small bottle is packed with skin vitamins and minerals of Ashitaba encapsulated in pure Swiss Glacier Water that gently washes out impurities, excess sebum and pollution while nourishing the skin's softness and suppleness. It doesn't dry out my skin, this is suitable for all skin types. Apply every morning and evening on pre-moistuned face and neck. Lightly massage to detoxify skin. 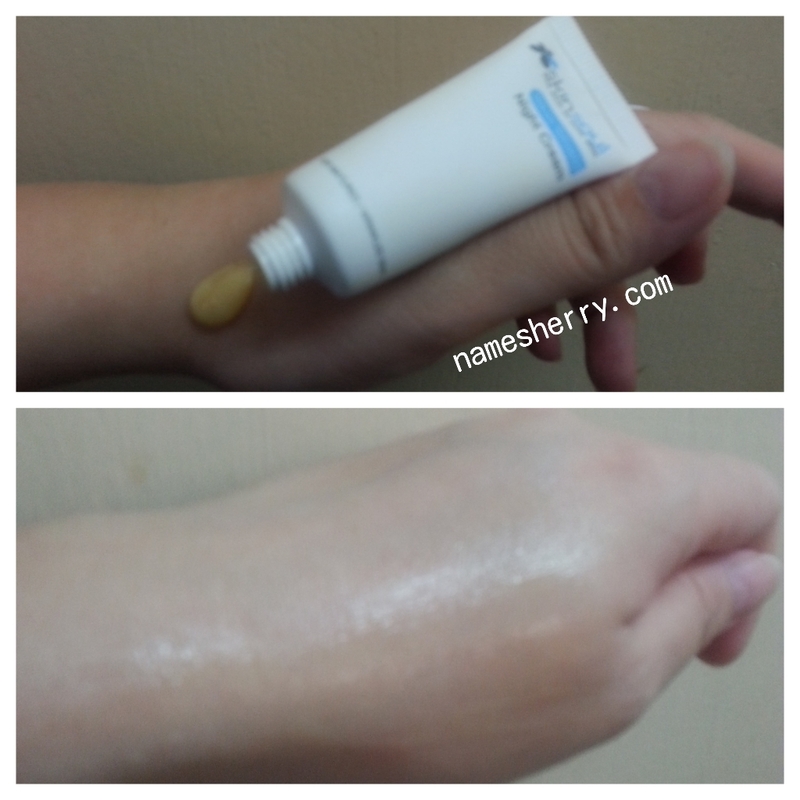 Follow with day or night skin care. The Hydrating, Energizing & Pore Refining Lotion can be use everyday, to hydrate and energise skin. Soak a cotton pad with lotion and smoothen over cleansed face and neck every morning and evening. 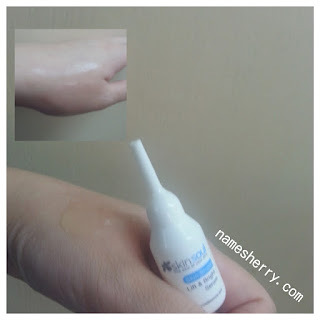 One of the skin care regime that you don't want to left out is the serum. Lift & Bright Serum, it is use to target ageing at the core, this serum has been formulated with smaller molecules of Ashitaba's anti-ageing essence that can penetrate into the deepest layers of skin to restore skin elasticity and firmness. Apply every morning and evening on cleansed and toned skin. Every morning, dab a small amount on thoroughly cleansed and toned face and neck. Apply evenly. I did by dabbing on 5 dots of my face. Repeat frequently with prolonged exposure to sun. 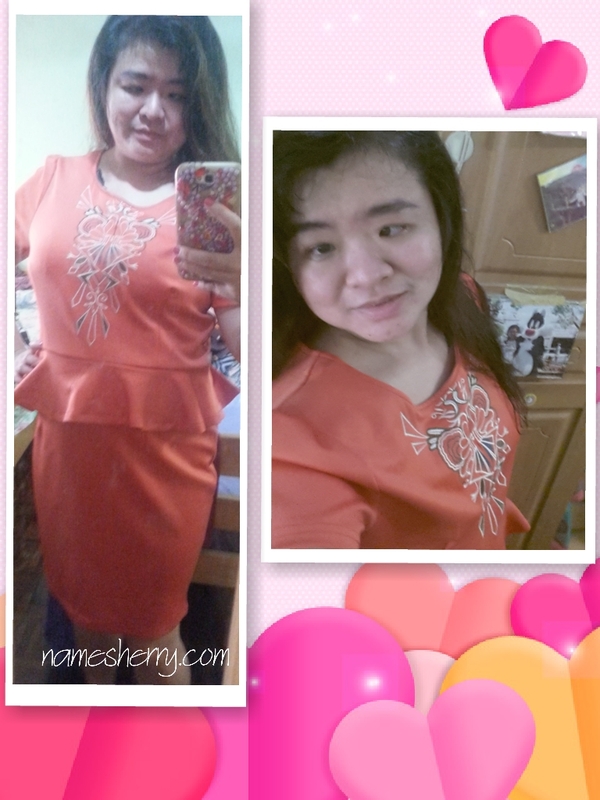 You can check out my photo above for before and after application. I using it even I am just out from the house for 10 minutes. The Ashibata enriched night cream is designed to work synergy your skin's natural regeneration cycle by depositing encapsulated retinol in precise concentrations that is time released for constant skin reconditioning throughout the night. Every evening, dab a small quantity onto chin, cheecks and foreheads. Smooth over thoroughly cleansed and toned face and neck before sleep. Spread evenly until fully absorbed, working upwards from the chin to the forehead. So last Friday was the day me with my family members to visit Melaka. 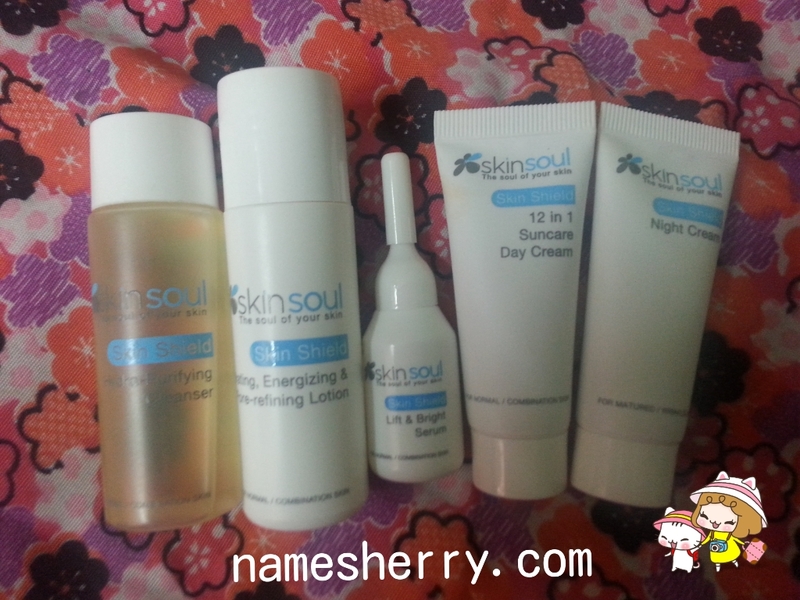 Above are skin care products of SkinSoul that I pack with my luggage. SkinSoul C-Jello Collagen Jelly Bar that is not in the photo. 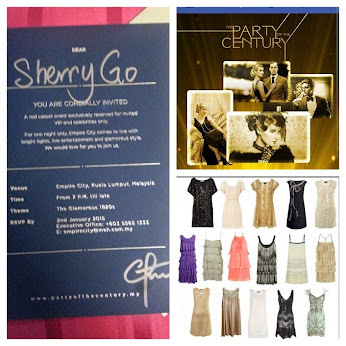 To my readers if you like to purchase the SkinSoul SkinShielf Traveling Set, you are welcome to use my code #sssherry. This set is at only RM388.